When it comes to holidays, Spain is the unmitigated queen of destinations, because no matter what you want from a holiday, you’re sure to find something that suits, and this is never truer than when you opt to visit the Canary Islands in particular. From dramatic landscapes to golden sands and a plethora of opportunities for art and architecture, The Canary Islands are rife with the traditional holiday charms, as well as a whole host of pleasant surprises. But we can tell you’re still not too sure. And that’s ok, that’s a tide we can turn no problem. 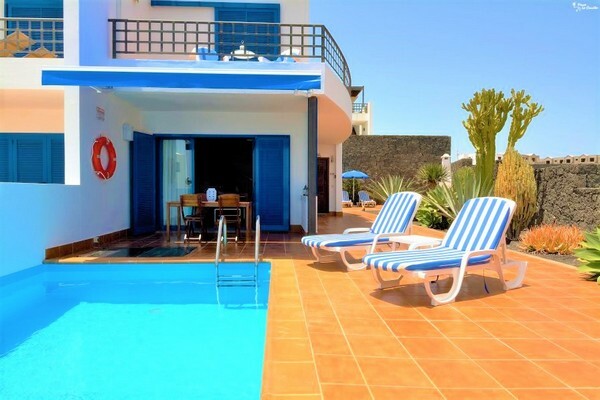 So, allow us to take you on a small tour of some of the best parts of the Canary Islands, complete with some great properties to stay in whilst you’re there. 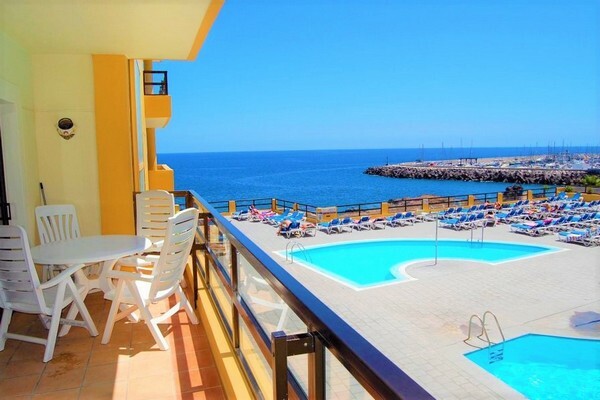 Tenerife is an ever-popular destination for all manner of tourists, especially those who love sunning themselves by day and clubbing by night. Lively in atmosphere and with some of the most amazing white sand beaches, it’s also the backdrop for the astonishing Mount Teide Volcano, where if you take a trip to the top you’ll be greeted with some of the most stunning panoramic views in all of Spain. How about The Aguamarina Complex in Golf del Sur? This excellently located property sleeps 4 people, is near the beach and golfing facilities and there's also a pool with fantastic sea views! 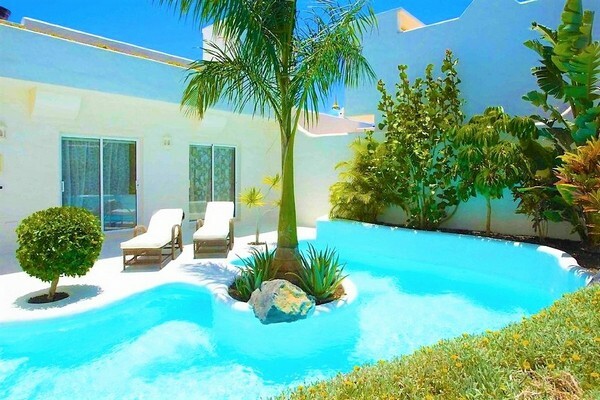 Another great favourite amongst holiday seekers is Lanzarote, boasting dark sand beaches, dramatic red and black dominated landscapes and lush countryside. Full of markets, museums, and art as well as the wonderful Timanfaya National Park, Lanzarote pulls all manner of people, from those just wanting somewhere beautiful to soak up the sun, to those who are looking for an adventure. How about the gorgeous Villa Top? 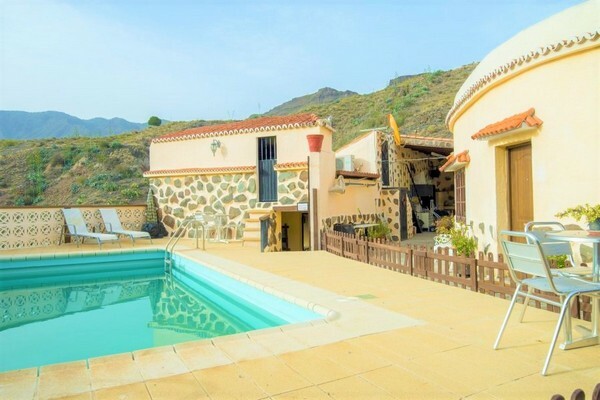 Located in Castillo del Águila it sleeps 4 people, has a private pool and is in a great location. Considered a ‘one-size-fits-all’ amongst tourists, the Gran Canaria has all you could hope for, from secluded little spots to curl up on warm sand with a good book to a mass of eateries, clubs, parks, and casinos. Often remarked upon as a ‘mini-continent’ complete with a range of microclimates, it’s a diverse, beautiful and exotic location that appeals to people from all walks of life. How about this lovely Country House in Santa Lucía de Tirajana? It can sleep 4, has a private pool and sits surrounded by beautiful natural views. Beautiful Fuerteventura is known for its stunning white sand beaches, cobalt-blue waters and for being a great place for nature lovers, with the stunning Corralejo Natural Park and Jandía Natural Park right on your doorstep. When it’s not being eye candy, Fuerteventura becomes a lively nightspot, with cocktail bars and small clubs coming alive against the stunning sunsets.